"These days, from the sofa in my bay window on Beacon Street, i write about the (material) stuff that life is made of. Wrap dresses, platform sandals, shimmery lipstick, dewy skin, shiny hair, green weddings, zebra skin rugs, modernist furniture, cavernous closets, emerging artists, bauhaus architecture, japanese gardens, kissing, and fantasies of all types." Bostonite Marni Katz is founder of the StyleCarrot blog, as well as a contributing writer for Design Milk amongst many other publications. We love her fabulous ARTmonday feature - in which she featured Rise Art - and so we asked Marni to curate a collection for us! "Summer is coming, An ode to a variety of summer experiences"
I am a New Englander, so the woods appeal - but I’m definitely not a camper. 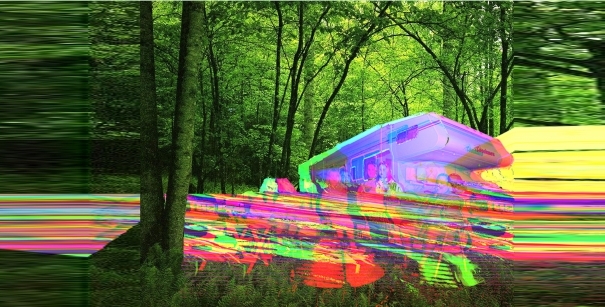 In fact, the idea of spending time in an RV, let alone an RV with my whole family, is frightening. However, I love this image. By streaking a rainbow through the green forest, the experience could almost be construed as fun. This could be fun in a teen’s bedroom, or one of a series of his works in a teen lounge space. Another wooded scene, but this one is unspoiled. 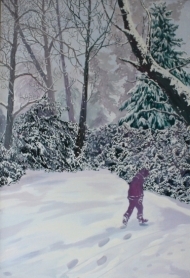 I love the purple undertones of the path, and the way it contrasts with the sharp chartreuse of the trees. 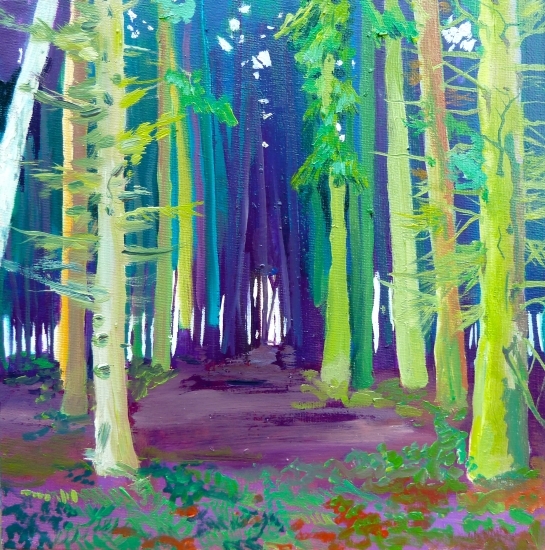 The color palette and composition reminds me of the iPad “paintings” that David Hockney has been creating recently. I could see this as part of a grouping on a gallery wall, adding depth and color to a collection. This photograph also evokes New England, to me. It could be a pond on the Cape [Cape Cod] or a small lake in New Hampshire. 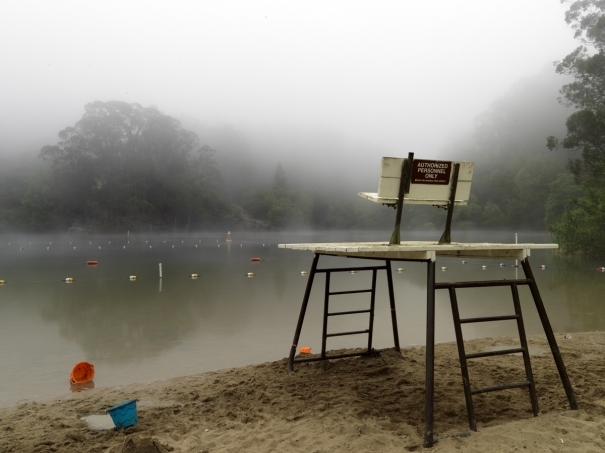 It is, in fact, a lake at park in Berkeley, California, all set up for swimming lessons - yet, why isn’t anybody there? Perhaps it’s morning, or a rainy day, or not yet summer... I’d hang it in a sumer cabin. Well it’s not a lake, but it’s hardly the Pacific. 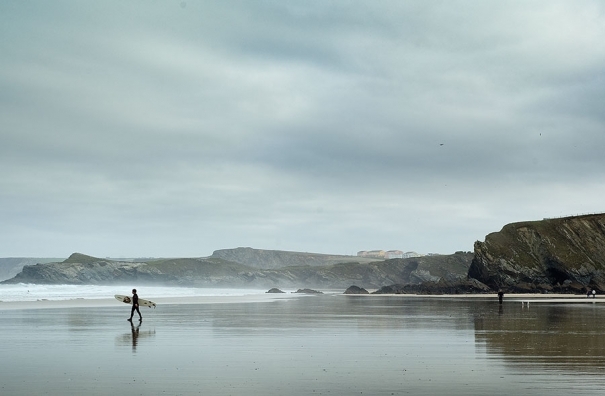 Rather, the photographer has created a series showcasing the life of surfers from Cornwall, England. It’s a calm scene, good for adding a touch of subtle color to a neutral guest room at a retreat. 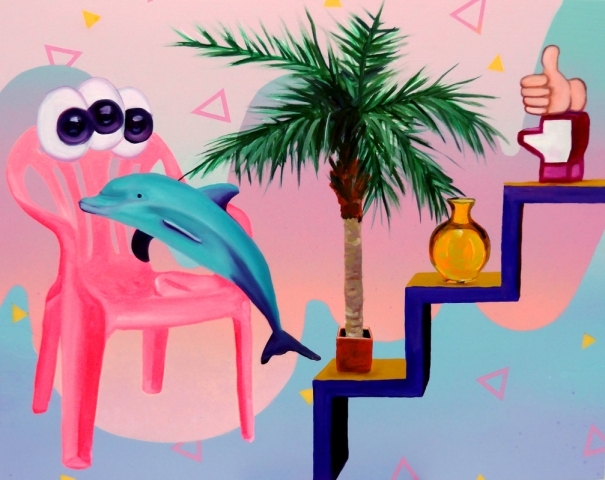 From subdued to super kitsch, this cartoon-inspired scene brings tourist culture to the forefront, with a potted palm, pink plastic patio chair, and dolphin tchotchke. I’d love to see this oversize painting in a contemporary, all white living room, maybe in South Beach, Miami, right over the sofa. 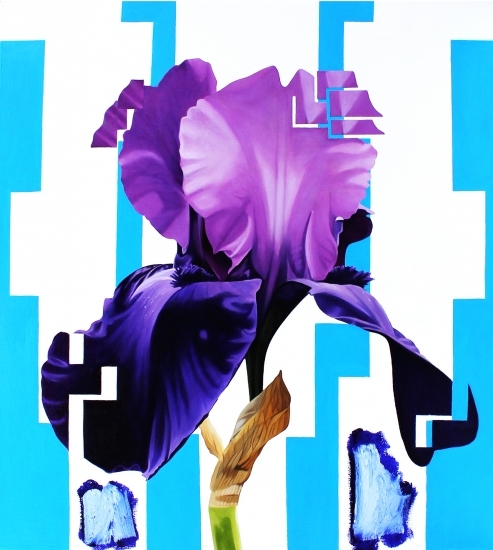 Depicting what is normally a delicate bloom, and setting it against a geometric striped background, the painter transforms this iris into a strong - and almost deconstructed - still life, in which technology meets nature. That it’s rendered in oil on canvas adds another aspect of the unexpected. 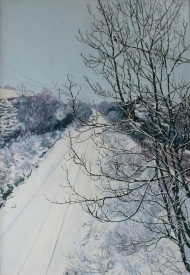 This would look gorgeous in a crisp white, or moody navy kitchen, framed simply in white. Sticking with the floral theme, this dreamlike and realistic painting of flowers floating in space against pure white is both peaceful and beautiful. 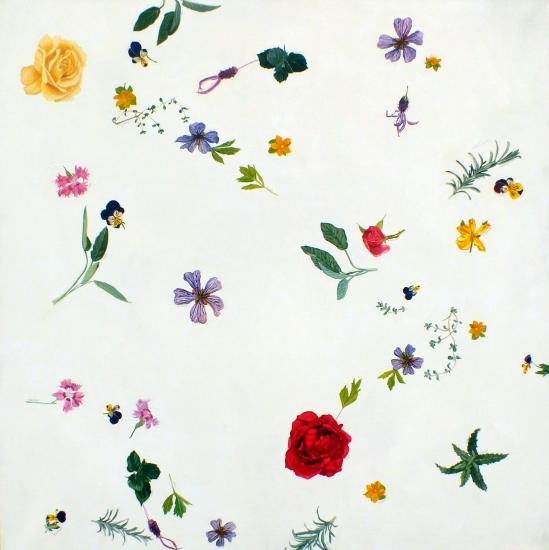 I’d hang it above a bed in a master bedroom, using white linens with an embroidered green (or even purple!) border. 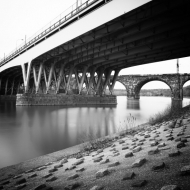 I’m very much drawn to this French photographer's urban works. Mysterious and fleeting street scenes portray multiple moments with a single click. It could be the focal point in an artistic girl’s bedroom, or the anchor in a collection of photos and drawings on a large wall in a more public space. My one minimalist abstract pick, it would actually pair beautifully with many of the pieces here. 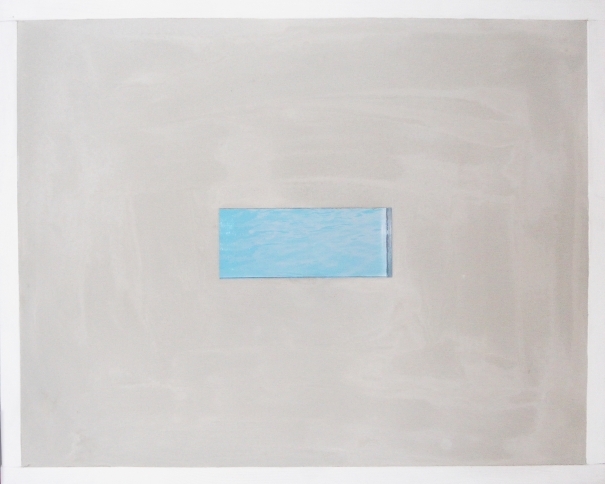 It’s a pretty blue rectangle of acrylic on a taupe-y gray field of concrete, or, a pool. 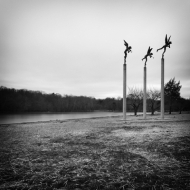 Again, pair it with something more figurative, or go stark in a contemporary setting, preferably in the living room. 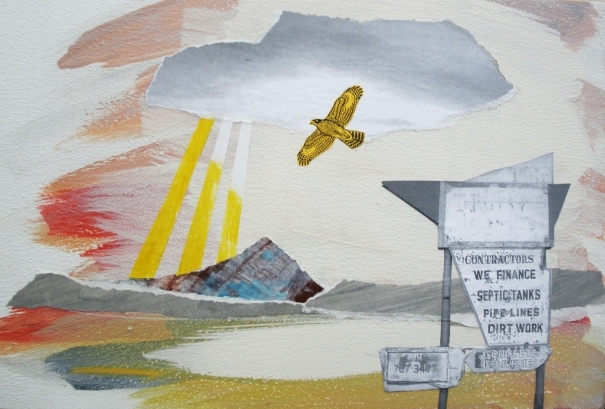 Evoking slices of Americana, this collage landscape boasts a pristine mountain in the background, with an almost comical bird above. In the foreground, a collection of the litter of daily life. It’s a fun scene inspired by a backpacking trip to the Californian Mohave desert. It’s easy to look at, and certainly brings a smile. Take our ART STYLE QUIZ and BECOME A MEMBER for access to the best new art from top Museums, Galleries and Artists. A recent English Literature graduate from Goldsmiths College, Charlotte Broomfield is one half of the permanent editorial team at Rise Art. Charlotte is largely based in the office but can often be found at Artist talks and industry events. Charlotte's main roles include blogging, (she's the voice behind the twitter), writing artist's profiles and researching events and activities in the art world.